SCENERIO: You bought your first vintage piece online, the owner states the item in a size 18 and you’re a size 16, your giving yourself some extra room at least that is the thought process you have about the piece. You place your order and wait patiently for the arrival of your cute "June Cleaver" daydress. Your dress arrives, you run to try it on with excitement and joy, only to discover the dress is not only too small but you can’t get it past your chest or hips when trying to step into it. “Something is wrong”; “That vendor sent the wrong size” and of course “I want my money back” (usually for vintage there is a NO REFUND policy)…..I'm sure all of this sounds familiar even if you are shopping at the local thrift shop or goodwill. The thing is vintage sizing is different. Without getting into the long explanation of how the last 50 years have changed our dieting habits, modern medicine and the American clothing industry. The size charts have changed. Vintage clothing sizes run 4-6 sizes smaller than clothing sizes today. For example, I normally wear a size 20-22 in most everything ( dress, pants, skirts) but if I'm trying on a 50's dress, I need to look in a size 42-44 (Plus Size starts at 40), same rule for items in the 70’s if it’s fitted. With daydress, pleated skirts and some shift dress you can get away with a 12-18 in vintage size. 1) Ignore the number and focus on the measurements, because they are the most accurate. 2) KNOW YOUR MEASUREMENTS!!! You can no go wrong when the measurement says 44 hips and your 44 hips. 3) Keep your measurement in your phone. Modern technology is wonderful for a absent minded fashionista. 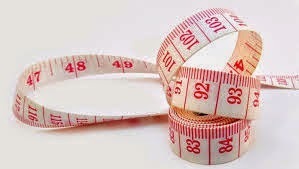 4) Keep a tape measure on you when you plan on trying on vintage. It saves time and sanity. What about shopping for vintage online? How do I avoid the wrong size? Same rule applies-KNOW YOUR MEASUREMENTS. When shopping online most retailers use the “lay flat” measurements which means you need to double it to get the actual number. And with a 21" lay flat measurement is 42" and give yourself 4" to make it fit perfectly. I always tell women to add 4 inches to their measurements because you must take your cup measurement in consideration, a 44DD is actually 48" in vintage sizing. Just be mindful and also add 4-6" for your hips, they do spread when you sit down. You will need the extra 4 inches, TRUST ME. Next if you don't know. Hips: Stand with your feet close together! Measure the fullest part of your hips (for me this all of my booty and thighs). Shopping for Vintage should be a chore, you should not think that there is nothing out there for you. Trust your measurement and know your body. 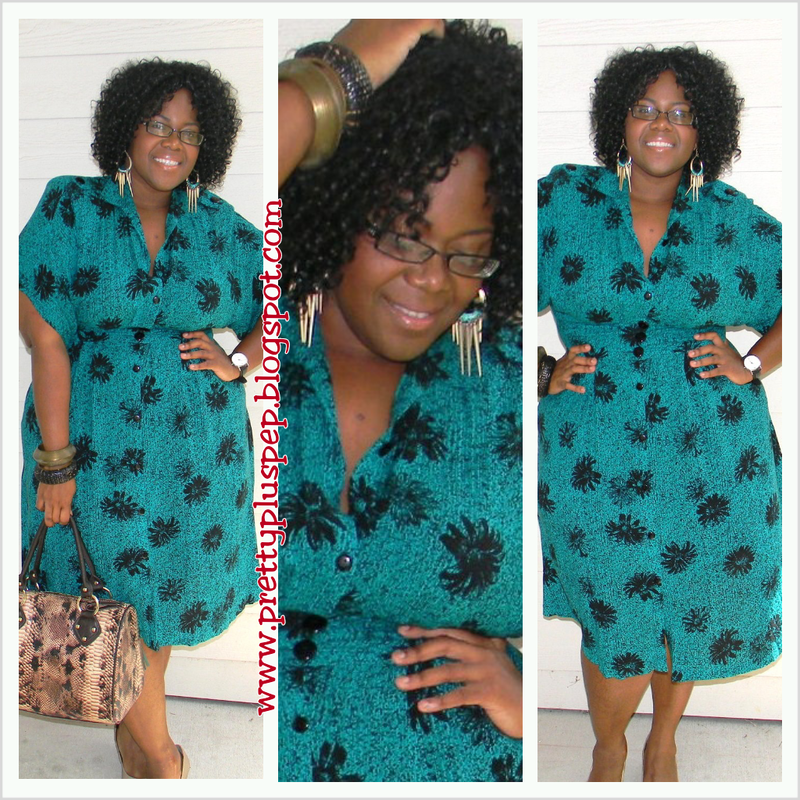 One of my Favorite Vintage Dresses. The tag said size 16. 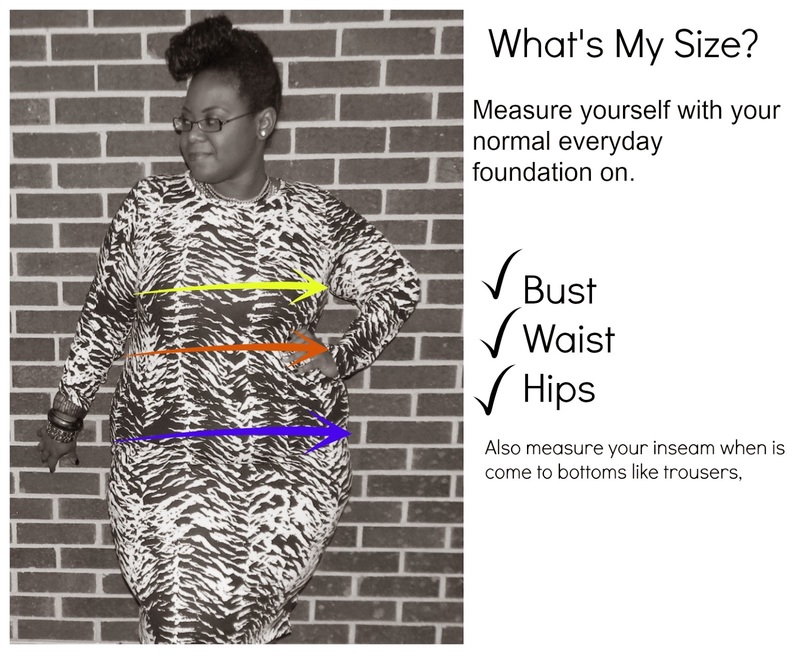 The waist measurement fit me perfectly and the skirt gave my hips enough room without any restrictions. Great article... Cause you know your friend is a total lost cause on this vintage game!!! Love it! I love American Clothing. I have seen many American Clothing Manufacturing companies manufacturing some awesome piece of clothing. Thanks for sharing. Keep exploring. Actually you do need to know your spread for your shape. The way I am shaped, there is a 10 inch difference between me standing and sitting around my hips.